Barbara practices her skill in real estate sales in the East Bay of the San Francisco Bay area with a special focus on the Tri-Valley encompassing Alameda and Contra Costa Counties. These are a collection of endearing communities – San Ramon, Danville and Alamo among others - each with their own architecture, ambience, amenities and housing opportunities and Barbara knows them all. From the shady walking paths, verdant golf courses, great social and restaurant scene to family centered activities, Barbara is your guide. This is where she lives, works and plays, this is what she loves. 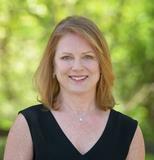 Barbara started helping people make all the right moves since obtaining her real estate license in 2003. She is known for her outstanding marketing expertise, market knowledge and attention to detail. Her love for competitive tennis taught her perseverance, strategy, and the benefits of team work. When represented by Barbara you have not only found an extraordinary REALTOR® but an advocate on your behalf, putting your interest above all others. She is a skilled negotiator who, unlike many agents, is unafraid to work with all offers to obtain the best price possible for her client. Barbara leverages her industry reputation for honesty, integrity and fair play with other real estate professionals for her clients giving her access to “off market” and “coming soon” listings as well as creating smoother and more timely closings. As a seller, you will be impressed with Barbara’s Unique Marketing Plan which outlines the process she uses to attract more qualified buyers with whom she uses her negotiation strategies to get you the best price and terms possible. As a buyer, Barbara will listen carefully to your goals and take you on the Grand Tour to find the neighborhoods that fit you best. She provides you with the names of local, reputable lenders and will coach you on writing an offer with strong terms to help you get what you want. Barbara Wilson holds the coveted Senior Real Estate Specialist (SRES) designation and has been specially trained in helping seniors and their families with the special challenges that they face. She is a certified relocation expert with Cartus and recipient of the International President’s Circle Award, an honor reserved for the top 5% of agents worldwide. When she has time, she plays competitive tennis, sings in the San Francisco Bay Area Chamber Choir and volunteers with the Junior League Oakland East Bay. Listing courtesy of Arrow Properties Inc.